Well finally, after months of waiting she has arrived!! Les Crouquets now has a baby sister! We first saw La Tour de Genèbre way back in June last year and decided almost immediately ( very unlike me!!) 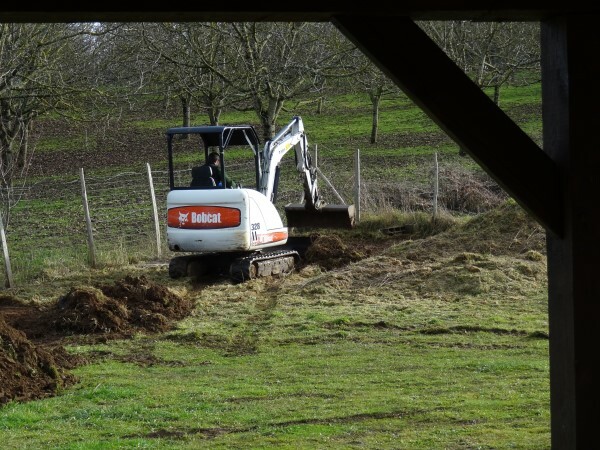 that she was the one for us…..our retirement pad for when we are too old & frail to keep up with the 7 gites we already have! 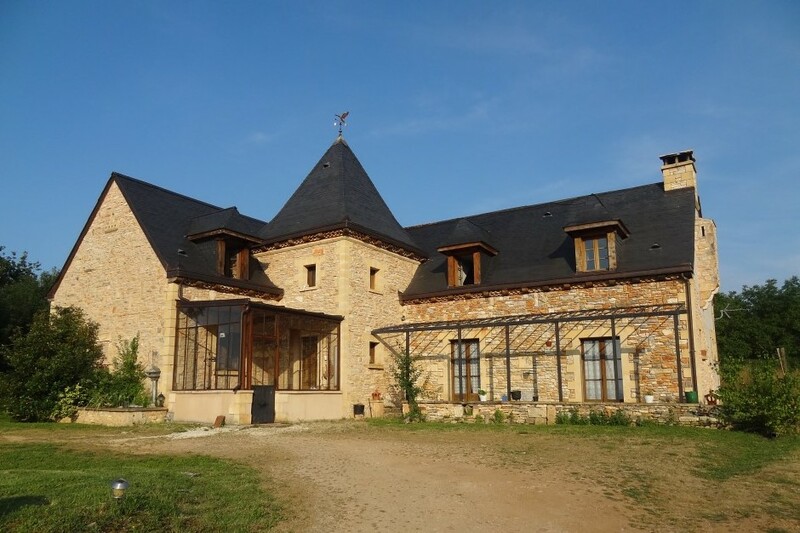 But given that we are both still in the full flush of middle age 😉 that seems a long way off and in the meantime La Tour will be earning her keep as a Dordogne Holiday Villa, the perfect complement to our Dordogne Holiday Cottages at Les Crouquets. Guests at La Tour will have free & unlimited access to the 9 hole pitch and putt course at Les Crouquets! We signed the Compromis de Vente, the first stage of the French buying process, way back in July fully expecting to complete it all by mid October….but the inevitable bureaucracy, technical hitches and Christmas & New Year holidays thrown in meant that we only got the keys just under three weeks ago. ( Luckily this was a private sale and there was no repetition of the fiasco in my last post!!) This of course also means that we are starting off 3 months behind schedule and will now only have just over 4 months to turn it all around. Now, there’s nothing like jumping in at the deep end and of course discovering lots of hidden extras that we didn’t expect to find or budget for. That’s what makes these new ventures colourful and interesting n’est-ce pas?? But even we will admit that this is turning out to be a much bigger project than we first envisaged and to do it justice we have had to go back to the drawing board and rethink what is realistically achievable in the time we have left. 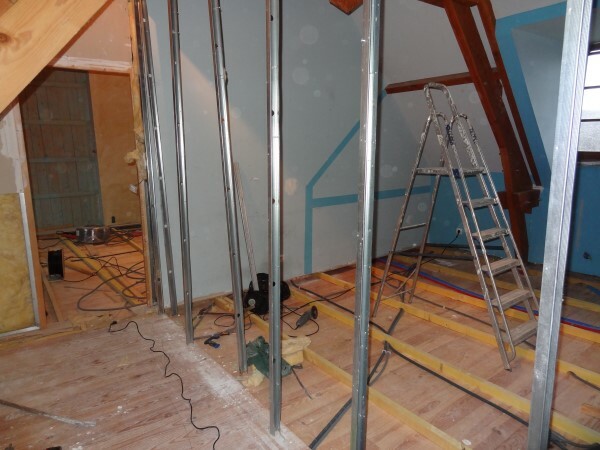 So we have decided to scale down for this season and block off the two ensuite rooms which were being created from scratch, starting off with 3 rooms instead…if time allows we will add a fourth. 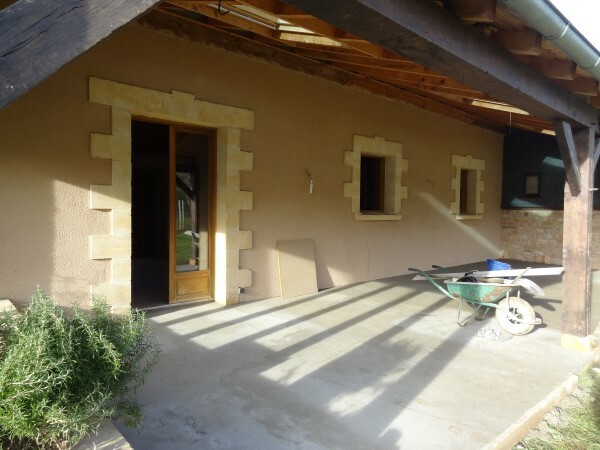 In the three weeks since we got the keys we have…. 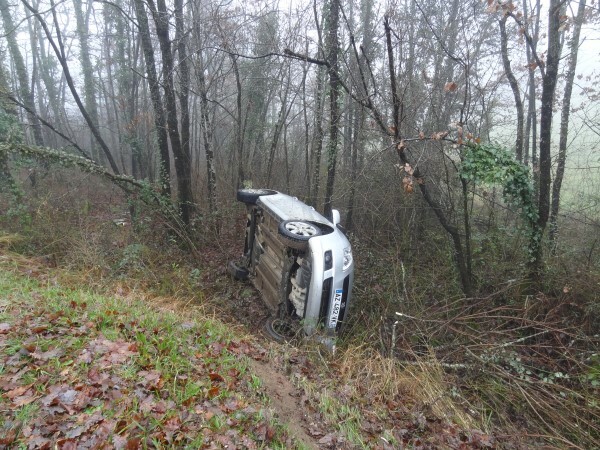 Yes, you read that correctly…I wrote off the car this week 🙁 Massive thanks to the passer by who scrambled down the hill and got me, Emma & Alistair out – miraculously unscathed. Thanks too to the wonderful police who made everything so easy without even so much as asking for my driving licence or producing the breathalyser thingy and of course to the Pompiers ( Fire Brigade/Ambulance) from Terrasson who were brilliant – couldn’t help feeling just a bit smug that I’d given a handsome donation to the very same officer when he stopped by our house a couple of weeks ago with the annual calendar. Anyway more updates on the house to follow soon!